Does the idea of going to the dentist frighten you? Do you have anxiety or fears about sitting in the dentist chair? Dental phobia is something that is extremely common among Americans. According to Colgate, there are approximately 9-15% of Americans who completely avoid the dentist due to their anxiety and fear, which is about 30-40 million people. So if you dread visiting the dentist, you are not alone. However, there is a way to still keep your dentist appointments without being frozen with fear. At San Antonio, KRK Implant Center offers sedation dentistry, which is a form of anesthesia specifically used to calm the nerves of patients. This method is especially useful for San Antonio patients who have a fear of the dentist. The medication provided is meant to help the patient relax during procedures so that their fear and anxiety aren’t an issue. Sedation dentistry, depending on the level of anesthesia, can put you to sleep or simply calm and relax you during procedures. Oral sedation is a form of light sedation that provides a more relaxing experience. Intravenous sedation allows you to sleep while you are receiving treatment, which is helpful for San Antonio patients who suffer from extreme anxiety. This is a way for them to seek treatment and avoid postponing their dental appointments out of fear. WHO ELSE CAN BENEFIT FROM SEDATION DENTISTRY? This medication is extremely safe and will allow patients to fully relax and sleep during their procedure. To be applied, sedation dentistry has to fall under standards that are safe for patients. Dentists, such as our periodontists in San Antonio, have received the proper training and guidelines in sedation and general anesthesia. Although our dentists are always very careful, there is always a risk with using sedation dentistry. However, if your periodontist has the right training and is qualified, you can rest easy knowing that your procedure will run smoothly. For instance, Dr. Krueger is a specialized professional who has worked with various sedation dentistry techniques before. He will be able to analyze your medical history and provide the best method of sedation for you that is both effective and safe. Depending on your individual needs, sedation dentistry can be very helpful. Although it may seem like a lot of information to take in, the process of using this medication for procedures is very simple. However, San Antonio periodontists such as Dr. Krueger can also help further explain sedation dentistry and expectations with the medication. If you have any questions regarding this type of dentistry, please reach out to KRK Implant Center at 210.826.3946. At KRK Implant Center, Dr. Krueger prioritizes comfort, safety, and patient confidence when it comes to sedation dentistry. The most important thing is that you feel relaxed and assured when you are receiving dental treatments. To talk more in depth about this option, call our offices and Dr. Krueger will be happy to assist you. Do you dread your routine visits to the dentist office? 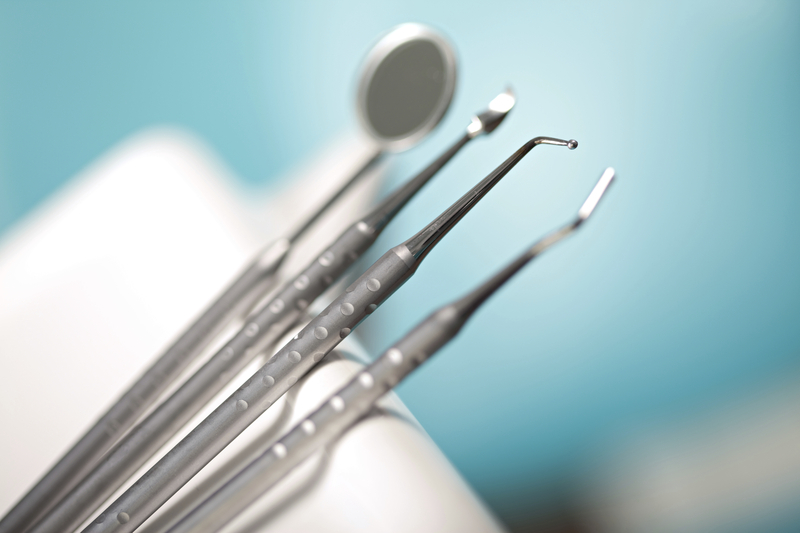 Do you have a deep-seeded fear of dental procedures? Do you feel anxiety when you’re in a dentist chair? Well, you’re not alone. There are lots of people who feel extremely uneasy when it comes to scheduling dentist appointments. This causes people to neglect their dental needs and put off going to the dentist, which is detrimental to your health. In the end, this can cause you long-term pain and negatively effects your overall dental health. Fear is one of the biggest reasons that people avoid the dentist, but with KRK Implant Center’s sedation dentistry this issue can be solved. At the San Antonio location, the implant center offers sedation dentistry as a procedure option for patients. Highly trained specialist Dr. Krueger prioritizes safety, comfort, and patient confidence when it comes to this particular type of dental care. Although used mostly for patients with anxiety, sedation dentistry is also a great solution for other reasons. Whether you are afraid of the dentist, aren’t able to put aside time for an appointment, or simply hate getting procedures done; Dr. Krueger can work with you to find the right method for you. Local Anesthesia: This is a type of anesthesia that uses gentle injections to create a numbness in your mouth before any procedure. All San Antonio dentistry patients at the implant center receive this type of sedation. Oral Sedation: This acts as additional sedation along with the local anesthesia. Patients are prescribed an oral medication that can be taken before any treatment. This will allow the patient to relax and fall into a light sleep during the procedure. Conscious Intravenous (IV) Sedation Dentistry: This type of sedation is heavier than both local and oral anesthesia. This is used for more extensive procedures or for patients who have severe anxiety at the dentist. Depending on your needs when it comes to dental visits, these methods of sedation can be very helpful. Solely using local anesthesia is best for those who need to return to work, school or have other obligations the day of treatment. Oral sedation is recommended for those who are interested in a light sedation in addition to local anesthesia. Because this method allows you to relax while being treated, oral anesthesia is perfect for San Antonio patients who are apprehensive about dental procedures. Lastly, conscious intravenous sedation is a great solution for people who are intensely fearful of the dentist. The medication is extremely safe and used to allow patients to relax fully. This type of sedation dentistry is also used for patients who need to have multiple procedures at once. To figure out which method is the best solution for you, it’s important to understand your needs. If you have a general anxiety of dentists, you may opt for local or oral anesthesia. However, if your anxiety when having dental procedures is more severe, you may want to consider conscious intravenous sedation. Additionally, your schedule can also play a huge role in deciding what type of sedation will work best for you. If you are still unsure about which method may be best for you, feel free to contact Dr. Krueger to learn more about KRK Implant Center’s approach to sedation dentistry in San Antonio. Call the center at 210.826.3946. What comes to mind when you think of going to the dentist? Day in and day out, millions of people across the nation have dental work done, and yet, for some, dental appointments remain a genuine source of anxiety. Whether due to past painful experiences or simply worry over the unknown, to you, the fear is real and that’s all that matters. Thankfully, San Antonio sedation dentistry expert Dr. Kenneth Krueger understands these fears and does all he can to ensure your visit is pain-free and comfortable. Local Anesthesia: all patients receive a base local anesthesia to ensure numbness in the mouth prior to the start of any procedure. In contrast to some practices, we employ very gentle injection techniques to minimize discomfort. Oral Anesthesia: typically used in conjunction with local anesthesia, at your preference, we can prescribe oral medication to take before your procedure begins to assist in your relaxation and allow you to fall asleep while receiving treatment. Conscious IV Sedation: for particularly involved procedures or for patients who experience considerable anxiety while undergoing dental treatment, we recommend conscious intravenous sedation. This method is very safe but effective in allowing you to relax. It’s also well suited to those wishing to have multiple procedures done in a single appointment. Sedation methods aside, there’s something to be said about knowing you’re in the hands of an experienced physician. Dr. Krueger has over 30 years of experience in periodontics to put your mind at ease, but more than that, he genuinely cares about the quality of your experience and takes the time answer your questions before any treatment begins. If you know you need periodontal work done, stop letting fear get the better of you. Call KRK Implant Center today and see for yourself why Dr. Krueger is considered one of the top providers in his field. Dread going to the dentist? San Antonio sedation dentistry expert Dr. Kenneth Krueger offers top quality care and pain-free appointments. Call 210.826.3946 today to schedule.